Why slow down when you can Showdown? 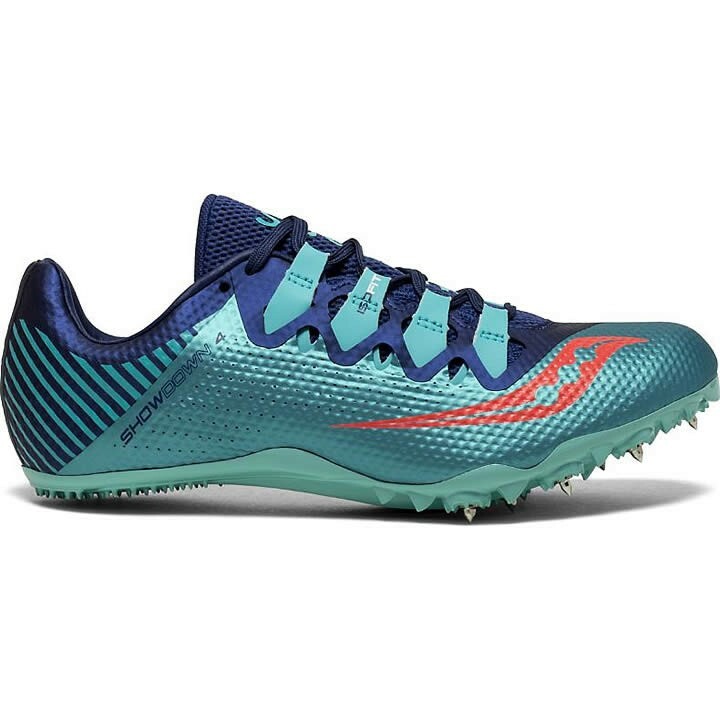 Being the premium fourth edition to this sprint spike, the women's Saucony Showdown 4 features FLEXFILM overlays and an ISOFIT lacing system that helps keep you securely fastened to the full-length 10-Pin Pebax ® spike plate. Get ready to rip up the track and the record books in this elite racing shoe.